The majority of the people get wisdom teeth. There are times when people are lucky to have them come in straight and strong. However, there are many other times when they come in crooked or wrong, and that is if they even break through the gum. If this happens, we may need to get them removed through oral surgery. Another surgery that may be needed is replacing missing teeth with dental implants. This option is very favorable to many because of its more uniform and natural look than the use of dentures or bridges. The first step is to see if you are a candidate. Your dentist will check the height, width and depth of the bone as well as perform an exam. These are taken care of the same way you take care of your natural teeth. The implants are placed and acts as a tooth root, and then an abutment is placed over-top of the implant to attach and stabilize the dental crown. Temporomandibular joint disorders, also known as TMD, involve the joint in front of the ear where the skull and lower jaw meet. This disorder may cause headaches and facial pain. It is usually treated with medications, splints and physical therapy. However, oral surgery may be necessary to correct the joint problems. People can experience injuries like broken jaws and broken facial bones, sometimes the only way to repair this is facial or jaw surgery. Bones are wired back together, jaws are realigned, and there may be any other repair work needed to assure the restoration of normal activity once healing is over. There are rare times when cancerous lesions and tumors are found in the jaws or the bones of the face. When this occurs, an oral maxillofacial surgery can be done to remove them. It is most often done when the tumors or lesions are found in and around the joints of the jaw, or in the connecting muscles and tendons. Oral surgery can also correct a birth defect: cleft repairs. These will usually take the form of a cleft lip or a cleft palate, and will happen when the nasal cavity and portions of the mouth do not grow together in the right manner when the baby is in the womb. When this happens, the result is a gap in the lip or a split in the palate found in the roof of the mouth. This can be corrected through a series of operations and cosmetic treatments over a period of years. Fortunately, the advancement of surgical techniques have led to the correction of a host of birth defects and accident damage through jaw surgery, without a high degree of future problems or scarring. Dr. Jared Bowyer DDS is a dentist in Vancouver, WA. 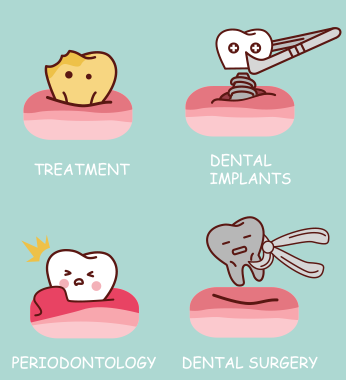 If you would like to learn more and understand about oral surgery, we will be more than happy to answer any questions. You can visit our website or give us a call at (360) 253-2640.